This page is a continuation of the Lightships 2014-15 page, and if you haven’t already, I would recommend reading there first, for the background of my star family contact. Continuing on this page, I’m posting photos of ships from 2016 onward, and will keep updating throughout the year. I’ve connected with people from the star Antares (alpha star of the Scorpio constellation) since late 2015. You can read about them in this post and this one. I took these photos on January 18th, 2016, of their ship the Terebinth for the second time, with lovely clarity of form. 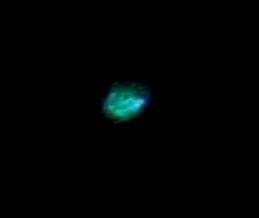 This beautiful small bright emerald-green/blue disc ship appeared on January 24th, 2016 (ship is at the top right of frame, above the trees). On March 24th, 2016, this beautiful Antarian ship appeared near the Moon, a large disc ship named the Meretahu, of which only the rim is visible (you can see the curve of the rim) with a slight suggestion of a translucent canopy…and with a small ‘pod’ ship descending directly below it. I’ve posted about it here. I took the next photos from the home of Rob and Shelley Hartland (of wispyclouds.net), who live a few streets from me and have extensive ship sightings/contact, on April 3, 2016. I asked Ashura (my Twin Flame – see this post) if he could decloak the Shem Arua, which I felt above us. He replied, No, but they would send down some small ships. Rob, Shelley and I all saw several ships zip across the sky in front of us, very fast, and looking like bright flashes of silver-white light. The photos below show one of the ships pulsing light. A larger, cylindrical ship also showed up faintly in this photo, in the top left corner, which I felt as Pleiadian-Andromedan. These Lyran type pyramid-shaped ships (now with Procyon ‘refits’) appeared high overhead on April 7, 2016. In the close-ups, you can see their colours – golden light bases with green, white and violet above. 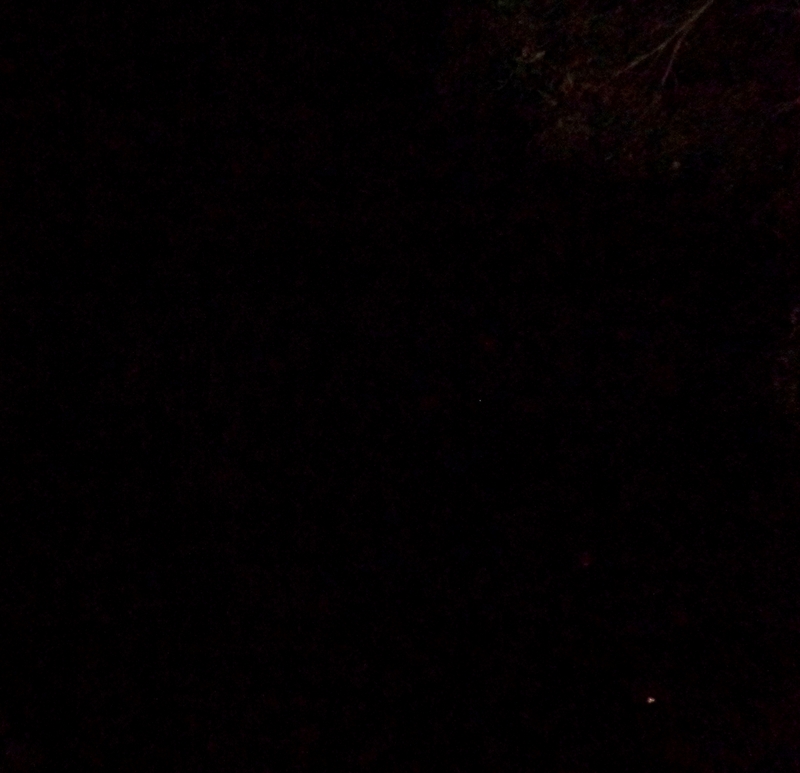 The first one is visible as a tiny light in the top left corner of this photo, plus see enlargement below. The first ship is showing its golden light base, with green visible on top. Here’s the second one, showing the white, green and violet light on top of the ship. 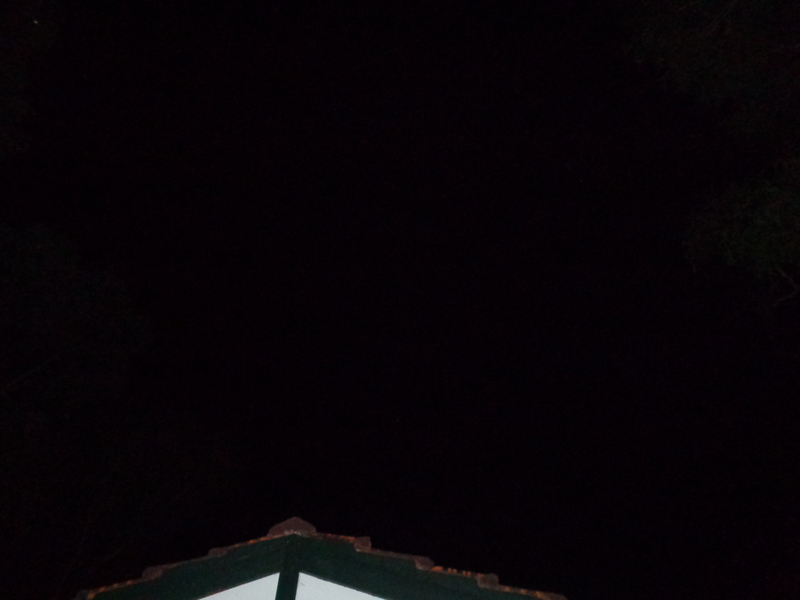 On the same night, a small triangular ship appeared beside a white orb (Ashura’s energy) directly above the peak of the roof. On April 14th, a ship appeared in the late afternoon which felt ‘heavy’, and on enlarging, can be seen to have a black snake shape within it. 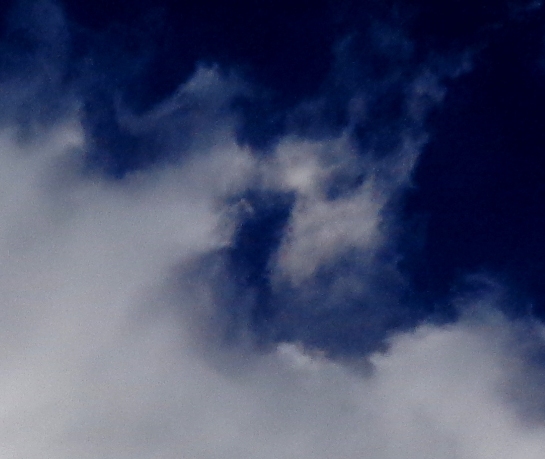 You can also see in the cloud to the left in the photos below, the serpent shape is reflected in the lower part of the cloud, and in the top of the cloud a heart shape is forming…which was a visual message from star family, that ‘We’re on top of it’…’Love is on top of it’. 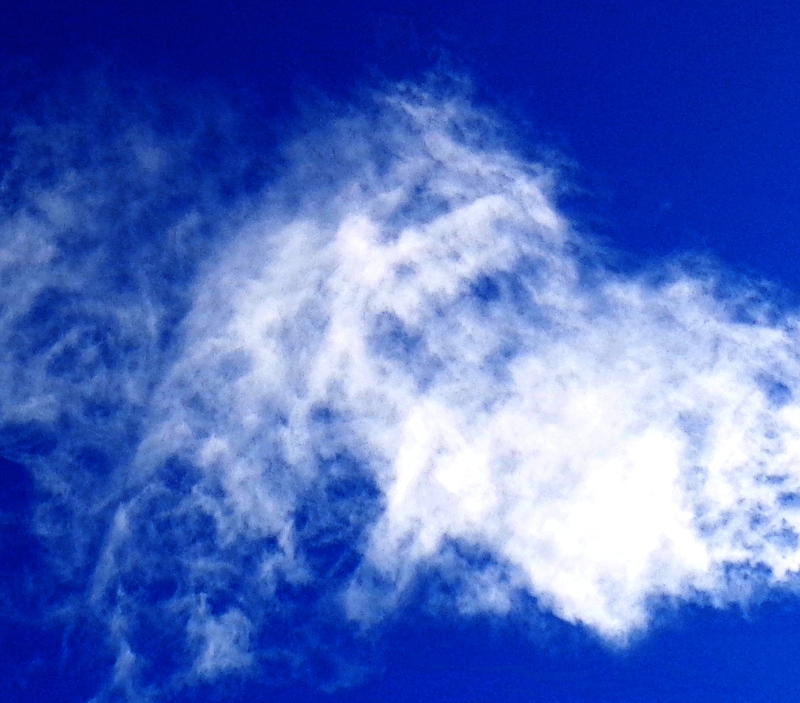 Faces and precise shapes are common in the clouds around or next to ships. This second enlargement shows a black heart shape within the ship. 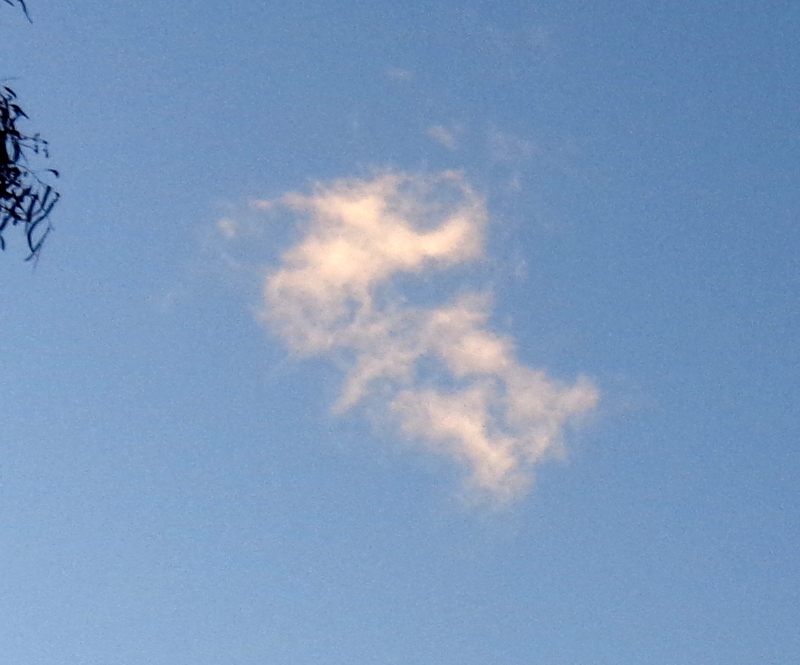 In the cloud message, the heart within the upper part of this cloud shows the higher dimensional frequencies of star family (Ashtar Command) above the lower frequency of the serpent. 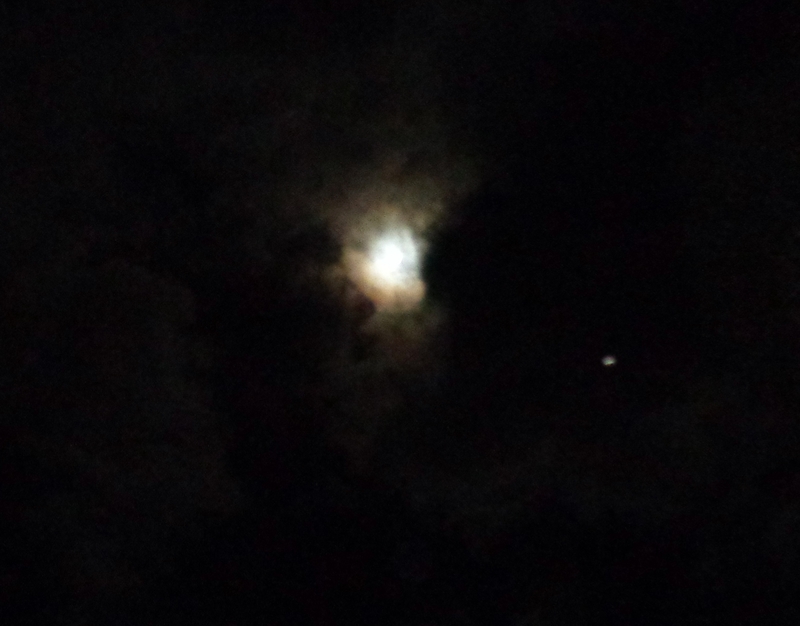 On the night of April 21st, two beautiful ships flew overhead by moonlight. 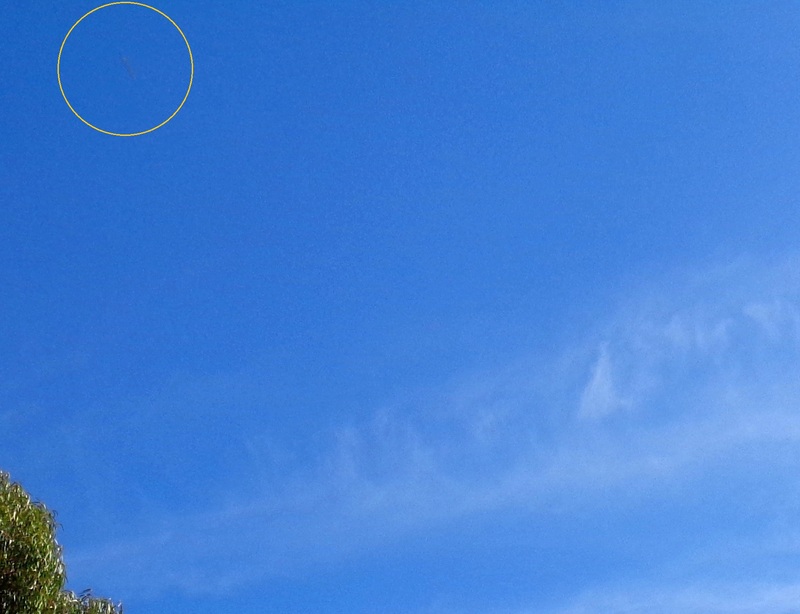 The first is an Arcturian ship, very clear in its form in the enlargement, above an orb of Arcturian angelic beings. In the close-up, the ship’s shape is beautifully clear, as a pale green crescent or bow-shaped ship, with a disc of light in its centre. See this post for details. This deep blue ship appeared moments later. 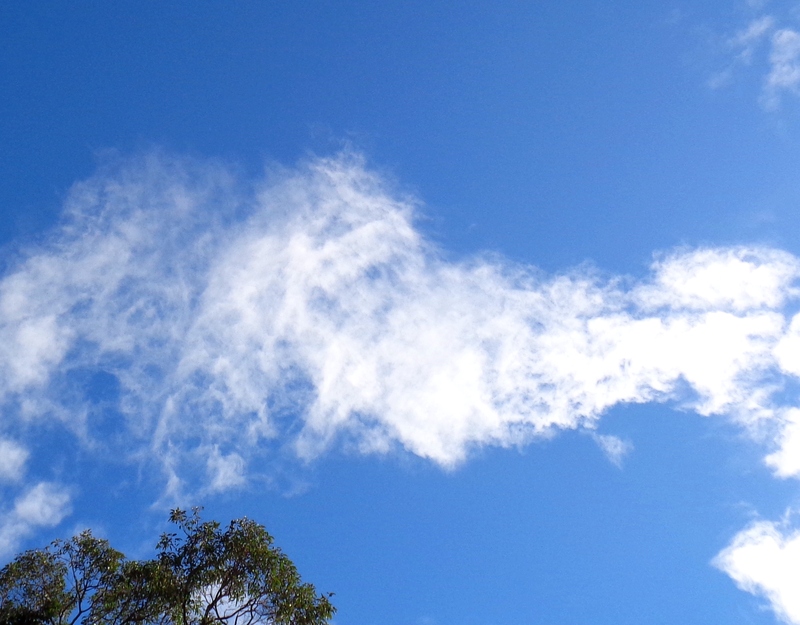 Star family often show their presence in the clouds, by delineating the structures of their ships within cloud-forms, such as these ones which were above me while I was out walking on April 27th, 2016. As these ship structures formed, an eagle flew in overhead and stayed above me for the rest of the walk home, about half a kilometre. This happens a lot – where ships appear, an eagle also appears – and is a sign of protection and overlighting from star family. 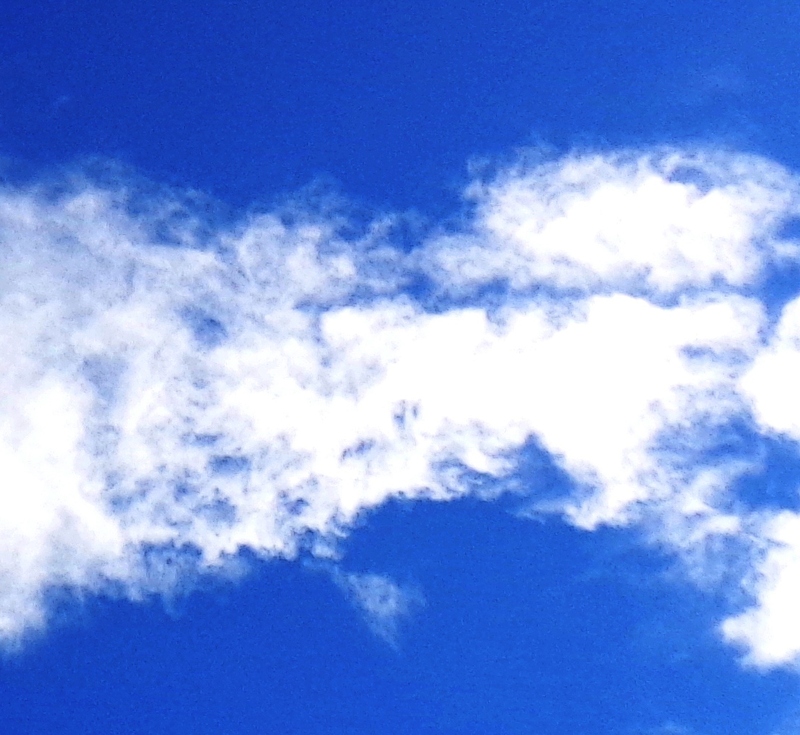 Clear forms can also be seen in these clouds, on May 3rd, 2016. There are Sirian triangular ships present, but this is also a visual ‘message’ about pyramids, which I’ll post about soon and link here. You may be able to see a (not very happy) face in the background, and a light, which if the photo is turned around, can be seen as a light close to the ‘apex of the pyramid’. 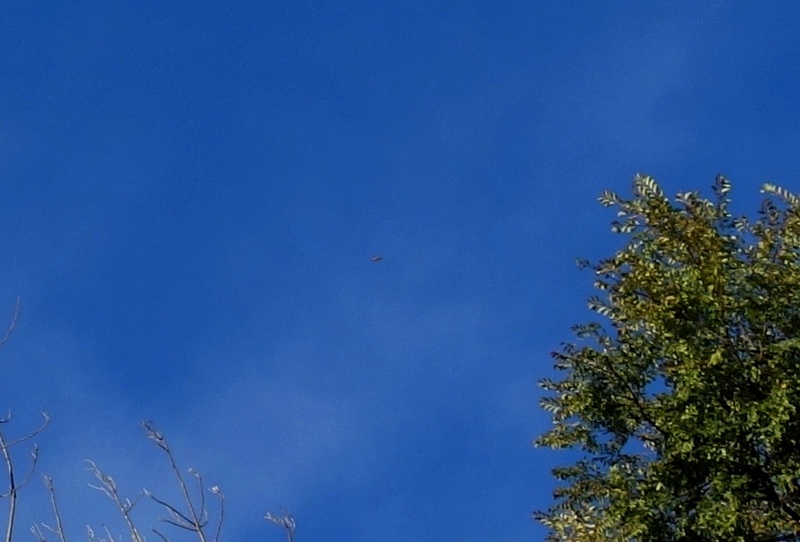 A small silver-white ship overhead while I walked in nearby bushland on May 10, 2016, not far from a Ashtar Command/Intergalactic Confederation base (held within a fifth dimensional sphere of light) which Ashura and I are closely connected with. On the hillside below the ship, the presence of star family was tangible, and they are slightly visible in the photo below. I’ve circled the one whose form is most obvious. Their appearance on the ground is a sign that we’re getting closer to the moment when our star kin can reveal themselves and connect with Earth’s humanity openly (which means our frequencies are converging/coming into alignment). Leading up to a high vibrational Full Moon on May 22, 2016, many ships of diverse shapes and colours unlike any I’ve seen before appeared in photos (too small and fast to see with the naked eye) on the nights of May 17-18. Here are a few of them, like jewels in the night. Here are two more views of the beautiful green-blue ‘mer-ship’ posted earlier on this page. The captain of this ship was remembered on Earth as Glaucus in ancient Greek myths. 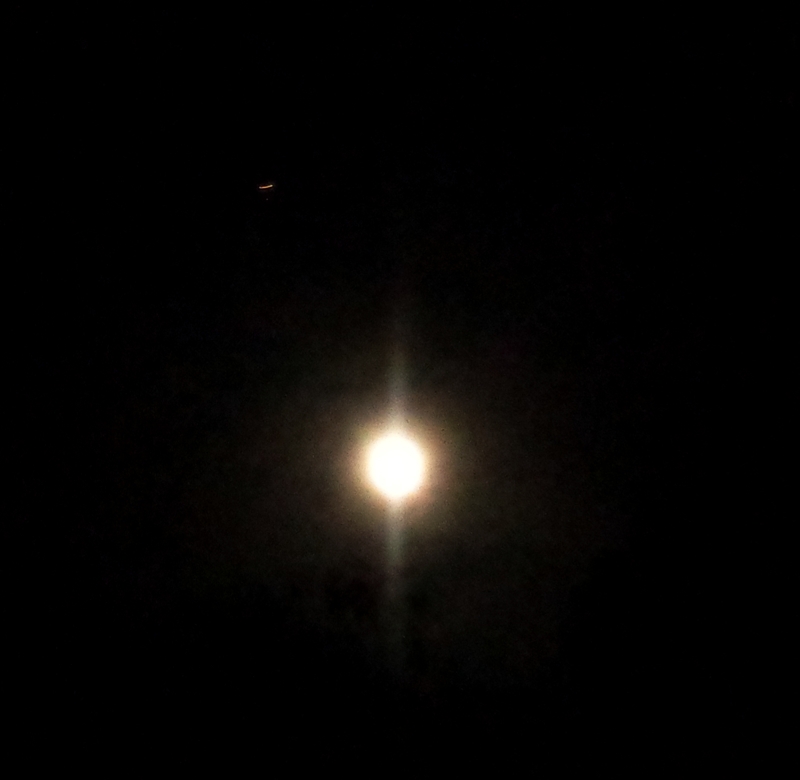 The Light energies continue to build toward Full Moon. These photos are from May 20th, firstly of our blue-green Mer-friends again, coming in top right of frame. And from the same night, this lovely green and violet Acamarian ship, with clear features and markings in the enlargement below. This ship appeared on May 24th. The enlargement shows a clear ‘double hulled’ ship, or two ships very close together. This beautiful ‘Cube of light’ is a representation of an Arcturian healing light chamber that was visible overhead on June 1st and appeared in 9 consecutive photos (the whole sequence can be seen at the end of this post). Later that night another beautiful healing light appeared, of Sirian origin, a lightship/ray of leonine and feline beings which changed shape as it moved. 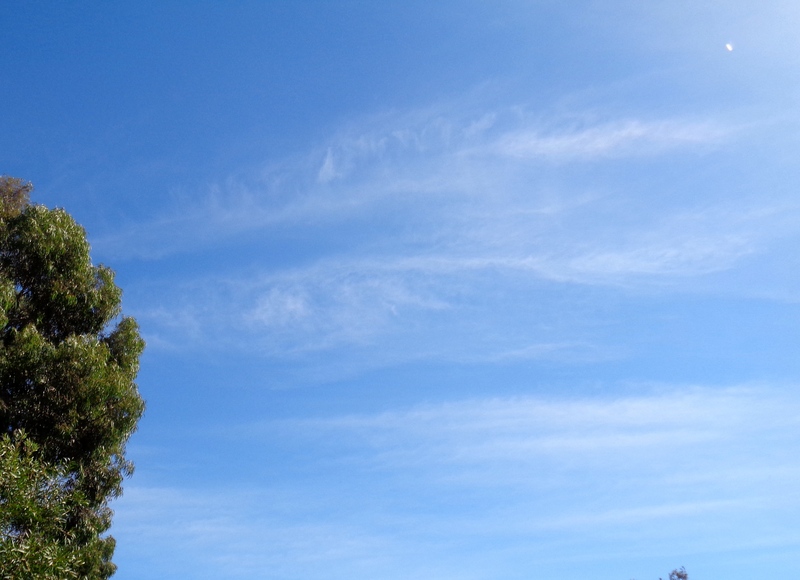 On June 3rd the sky was covered in chemtrails and I asked for help with neutralizing them. 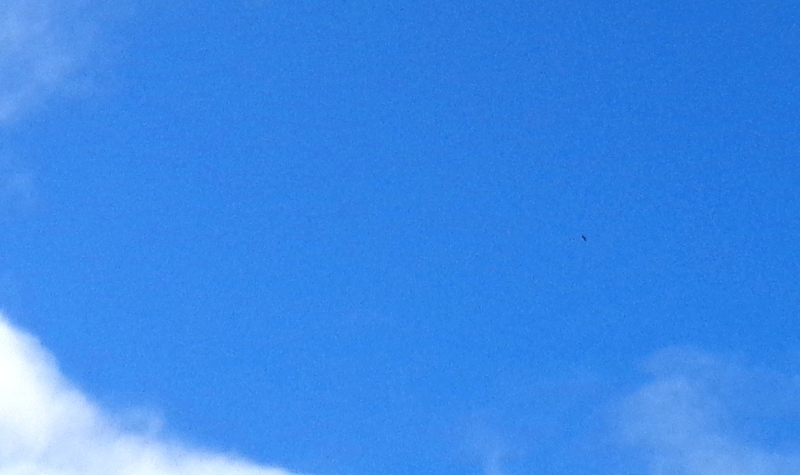 In this photo, a small white ship (Ashura’s ‘pod ship’ which he flies out from the Shem Arua) is hovering directly over a black object. 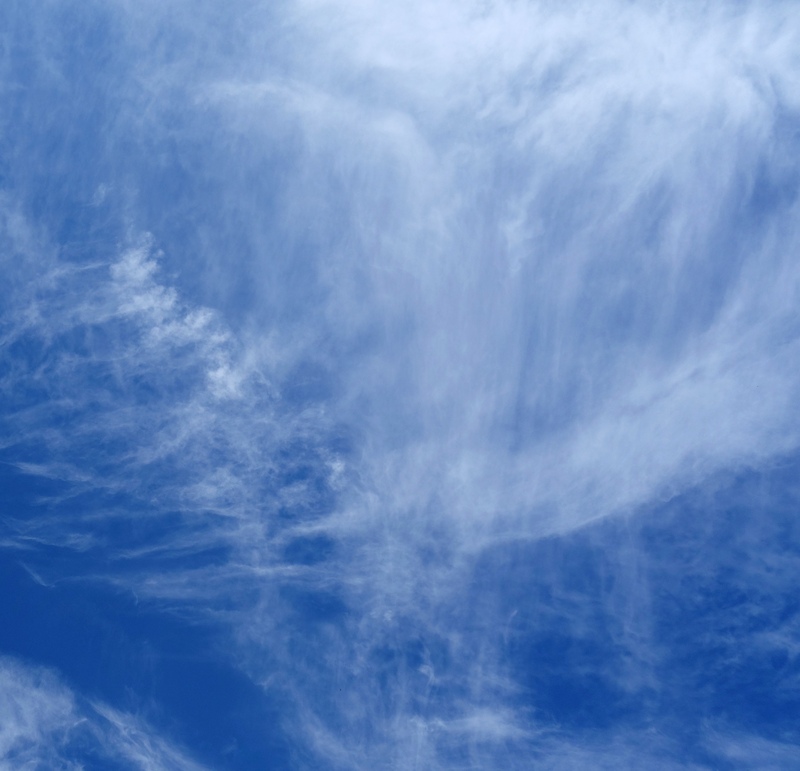 At the same moment, an eagle flew in above the treetops, and (Ashura’s) angel shape formed above it, with the eagle always flying at his ‘feet’. 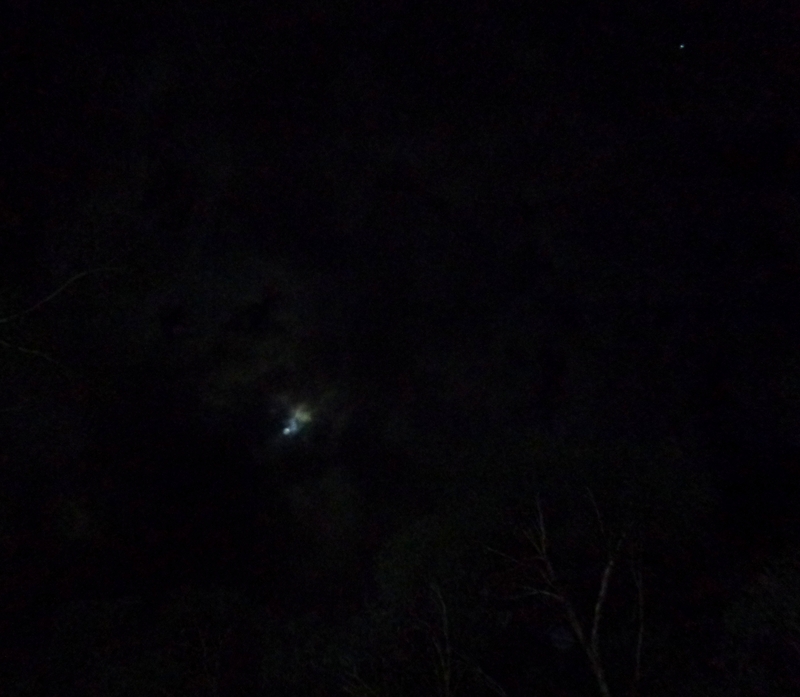 The Shem Arua flew at a distance low on the horizon beneath the Moon, before veering upward as it headed north, on June 9th, 2016 (the sky looks orange because of Perth’s city lights reflecting off the cloud cover). This beautiful Sirian-Procyon ship, related to the Antarian ship Terebinth at the top of this page, appeared clearly on June 18th, 2016. You can see two emerald green ‘pod ships’ underneath the rear of the ship. 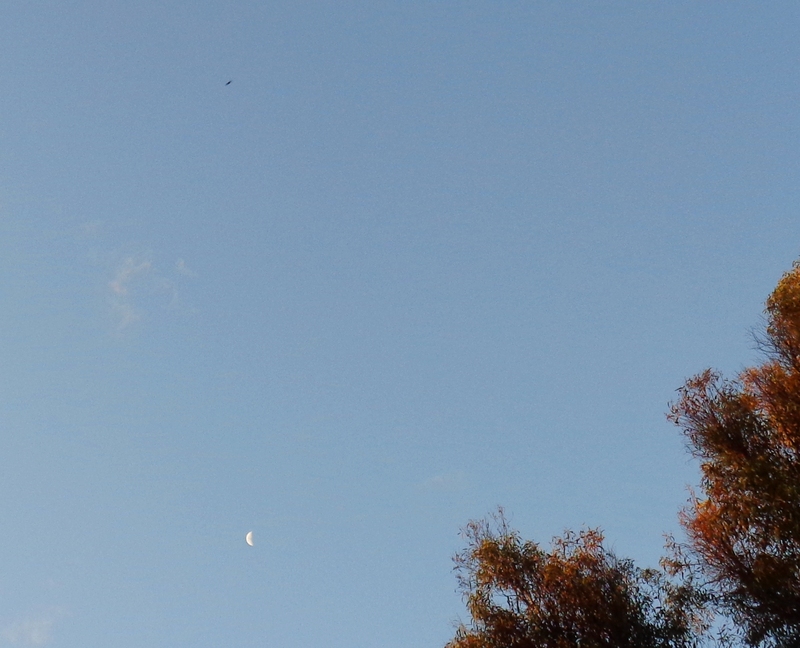 This is Ashura’s little pod ship again, close above the tree-tops, on June 27th. …and an accompanying ship from the AC base, showing clear structural ‘features’, and with members of several star family groups on board (Pleiadians, Andromedans, Alpha Centaurians). On July 1st, while walking in the area near the star base, I felt the presence of star family close above, and at the same time a helicopter appeared, flew low down over me and straight toward where the lightship had been seconds before – a clear sign that those who seek to prevent open contact have a technology with which they are able to pick up on the energetic presence or ‘signature’ of our ships. So be aware that in some areas, ships may ‘decloak’ less frequently – for the moment – but their presence can still be felt through a loving attunement, and they can project their higher dimensional forms and representations via our 3D cameras. 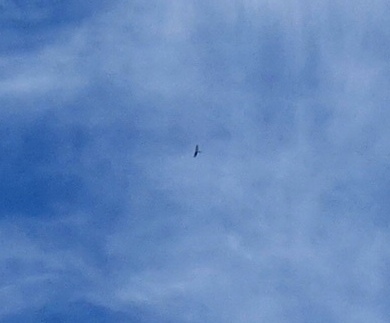 Here is the Sirian-Procyon ship that appeared firstly on June 18th, making its presence known again on July 5th. In the first photo, it’s coming in from the top left, toward a star of the Pavo (Peacock) constellation. 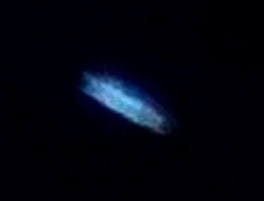 And as it came over the star (with a smaller pod ship to the lower left), you can see the ship’s form brighten and ‘soften’ into toward a more orb-like form, with a feline Antarian face and several human forms taking shape within it. This image is showing Antarian and Sirian feline beings and humans held in Procyon protection. 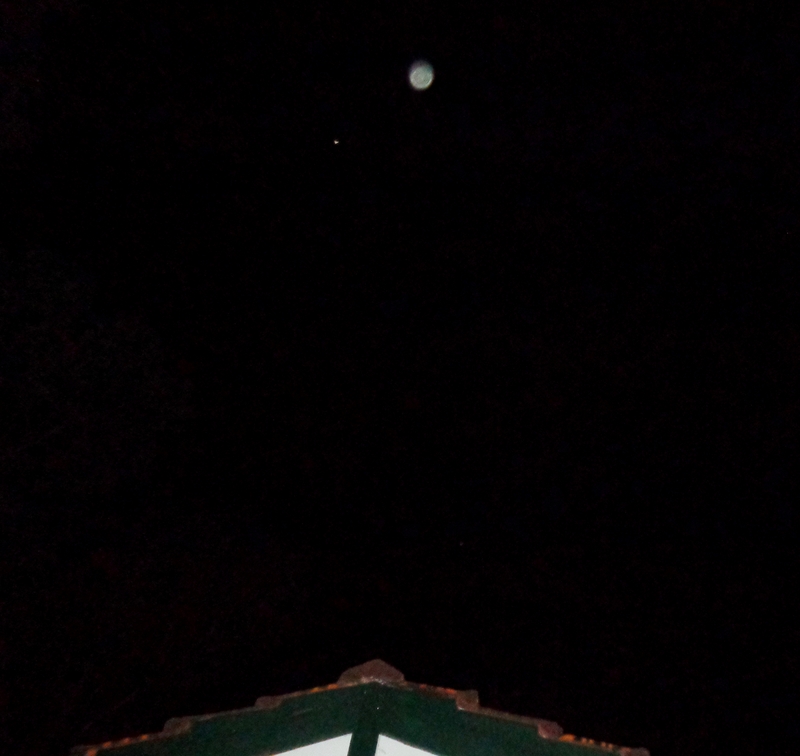 The following photo from July 15th is both orb-like and ship-like, and is ‘visually describing’ the meeting of two brothers who are bearers of the ‘Green Man’ divine masculine energies, and the merging of their soul energies. 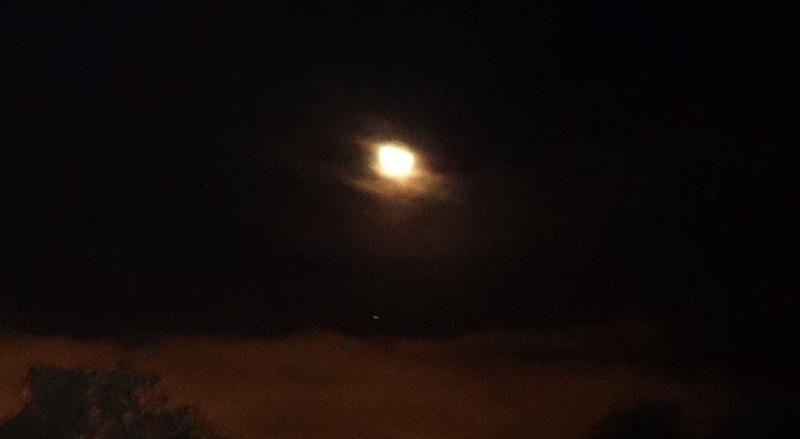 With the brightness reduced, the colour becomes more apparent. …and it’s kinship to this small half-decloaked ship that hovered nearby (related to Glaucus’s sea-green lightship shown earlier on the page) which comes from the command-ship Neptune, captained by Ashiira (Ashira Sheran). This beautiful ship appeared on July 29th. These are close kin of the Arcturian Angelic-humans, and are known as the Alectians. Their home planets are around the star Alcor, which is in the Big Dipper (or Frying Pan) asterism of Ursa Major, the Big Bear constellation. They have close kin, the Elaxians, whose homeworld is near the star Mizar, which forms a double star with Alcor. On August 8th, a gigantic Sirian pyramid-shaped ship could be seen outlined in the clouds overhead. More can be read about it in this post. The next day, the skies were very active, starting with this ship that pulsed white light in the early evening of August 9th. Later that night, there was a spectacular display of orbs, which were also the ‘projections’ of ships, as well as representing certain stars. This beautiful array was accompanied and watched over by a Procyon ship much akin to the one represented earlier on this page. 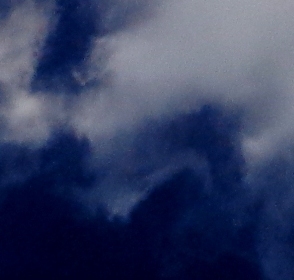 On August 12th, a ship popped up from behind a bank of clouds, in a visual greeting and also a reassurance of being watched over (at the time of writing this, extra safety measures have had to be taken in regard to the base mentioned above, due to actions of those hostile to open acknowledgement of the presence of the ETs of goodwill engaging with Earth). The ship is at the lower right corner just above the clouds. 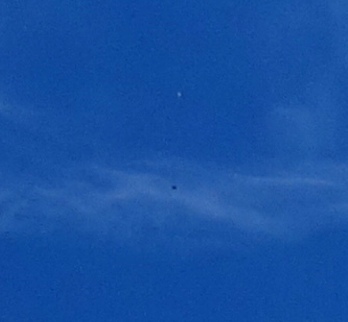 And from August 16th, this is Ashura’s pod hovering overhead. He pulsed its light twice, which you can see as shining silvery-white in these photos. On August 25th this beautiful ship of a soft golden colour appeared overhead, above a lens flare. It was accompanied by these ships, of Arcturian, and Hyadean-Aldebaran origin respectively. You can read about these ships in this post. This beautiful white ship, August 31st, is related to the golden one above, and is a Carian ship (birdlike beings), of the family of Horus. 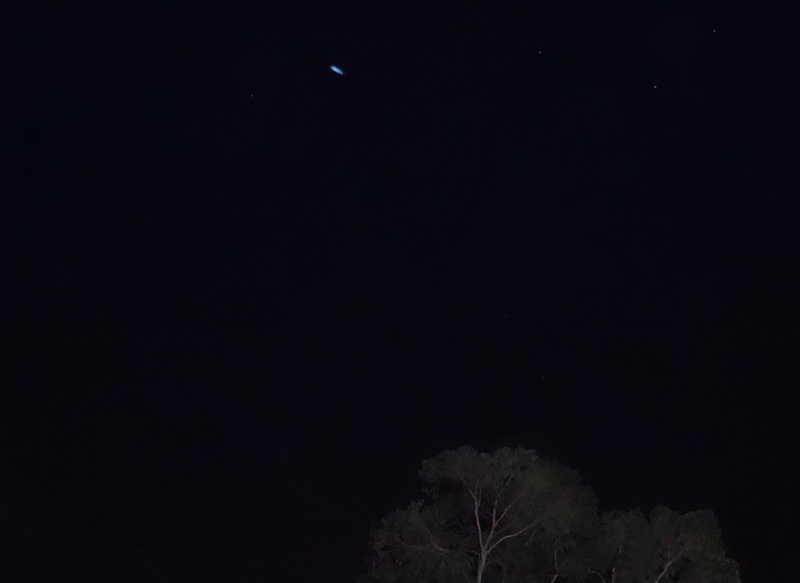 It first appeared visibly as a very bright white flash of light next to the triangle of stars in the photo below, then I took this photo of the ship hovering to the right of the line of stars beneath the triangle. 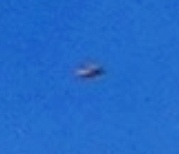 With the brightness reduced, the triangular shape of this ship is clear, with structures on top of it. This white ship appeared again by daylight on September 6th around an unusual heptagonal lens flare, firstly as three ships, then merging together into one long triangular craft again. 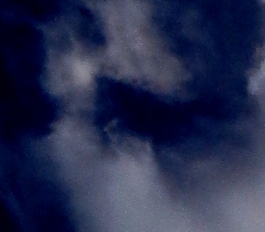 If you look closely, you may be able to see faces in the clouds in the final picture. Carian lightship flies below heptagonal lens flare, September 6, 2016. 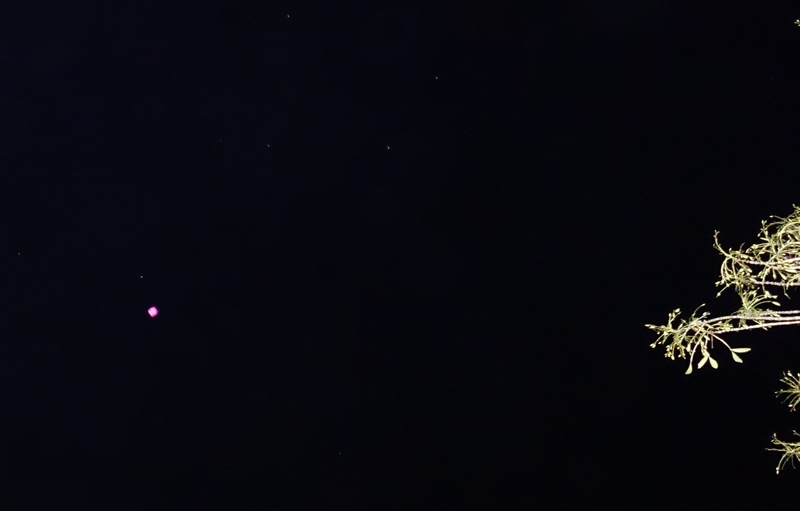 On September 19th, two ships positioned themselves beside particular stars, and one of them was a luminous pink glowing colour I’ve never seen in a ship before, which is related to the release of the ‘Rose Candle’ energies spoken of in this post. The lovely soft golden spherical ship that appeared on August 25th again showed itself exactly one month later, on September 25th. On October 1st I was at the house of some dear friends (whose site with ship and orb photos can be found here) nearby, and took this photo from their veranda after seeing a single pulse of light. 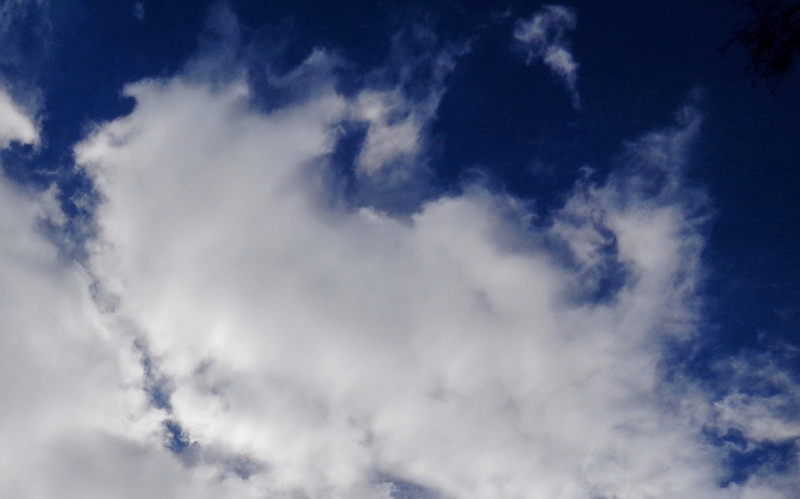 On enlarging the photo, this was the ship near the top of the frame, but there were also two more below, forming a triangle just below the clouds. Here they are with the triangle marked in so you can find them, as they are small. This was followed by a clearer, closer view of the same ships on October 4th: the first is a small bow-shaped Arcturian & Alectian ship – though it looks diamond-like here – associated with a mother-ship I’ll write about soon and link here. 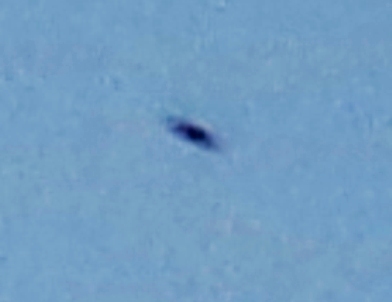 The second ship came down well under the cloud cover, and in the enlargement below you can see it is donut-shaped with a hint of a triangle framing it – a ship with Sirian and Antarian feline beings on board. 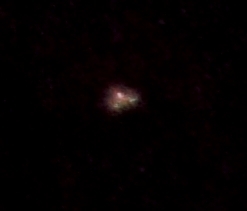 This small lightship crossed from right to left in front of a star formation low in the sky on October 9th. 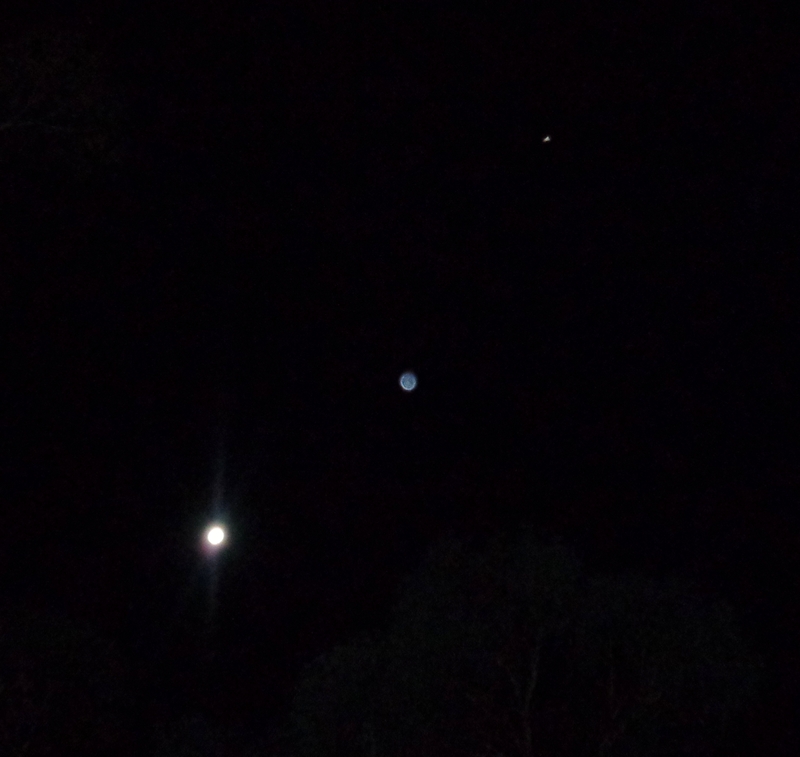 It’s oval shape is clear in each photo, but its colour and light altered as it moved. In the first photo, the ship is moving out from behind the tree on the right. 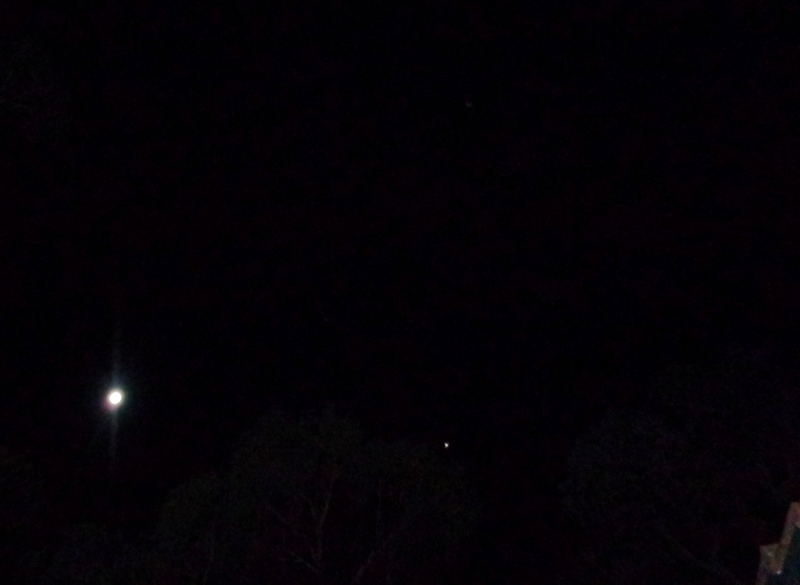 In the second photo, the ship had moved inbetween the two bright horizontal stars and pulsed light as a ‘hello’. 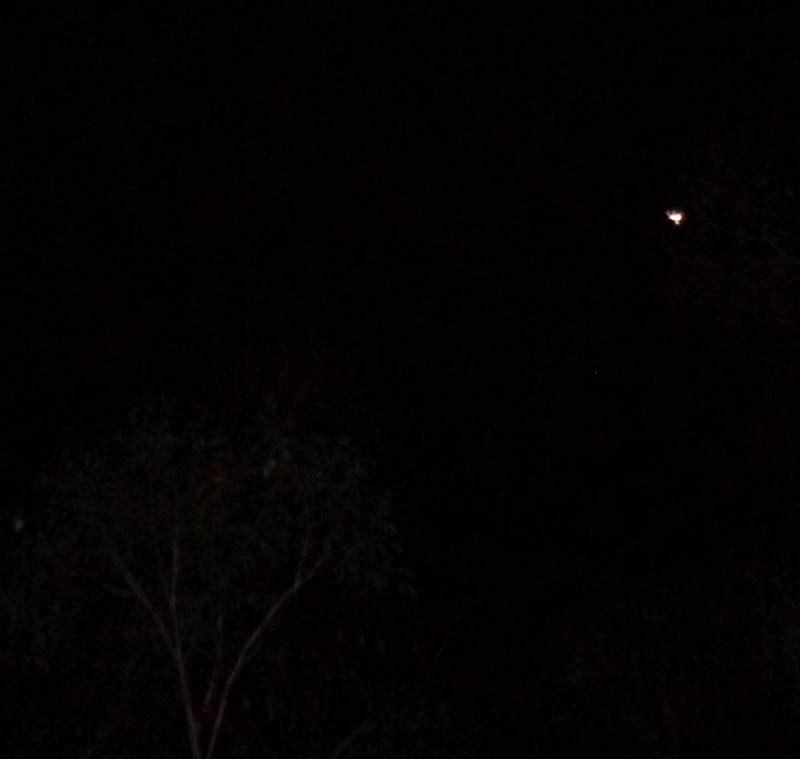 In the third, it has dipped down to the left, below the stars, then went out of view behind trees. Enlargements show the shifts in the ship’s light. 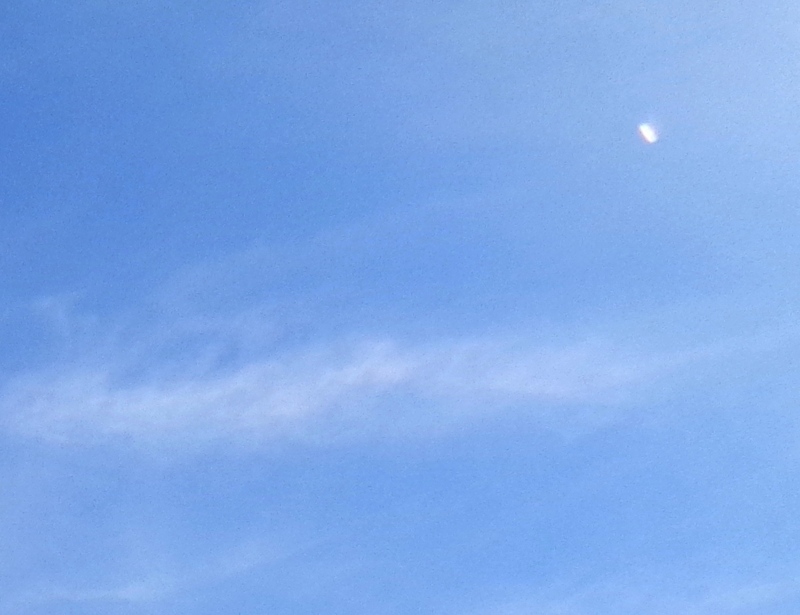 This long, narrow cylindrical silver ship appeared in a gloriously clear sky on October 10th, with two prominent white sections clearly visible on its underside, with three dark ‘hatches’ between them. This ship is of Pleiadian origin (although there are beings of several star systems on board), and is named the Rut’ish. 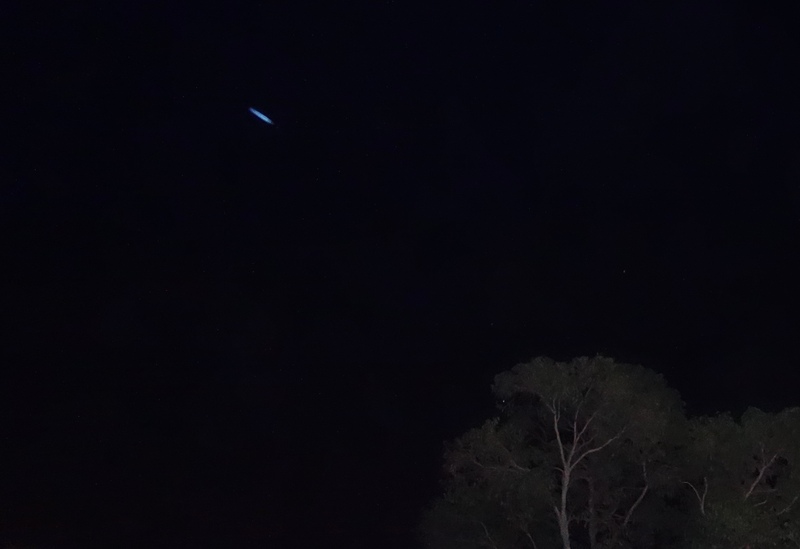 The next day, October 11th, I took these photos of a ship from the Chittering Valley, Western Australia, as it flew fully ‘decloaked’ slowly overhead, absolutely beautiful. My Twin Flame was aboard this ship temporarily, with Hyadean and Pleiadian soul family. 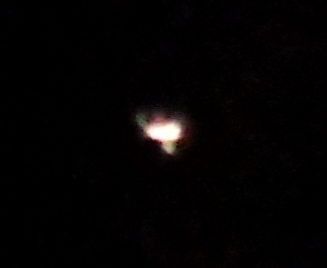 Here is the same ship two days later over my house, October 13th, not visible this time other than a brief flash, and morphing shape from cylindrical into a triangle format of three spheres. Two ships flashed brightly on October 25th, in a visual message of ‘alignment’ to Venus, which is the bright light to the lower left, with the ships in a straight line at an angle to the upper right. The pink-gold ships below appeared on November 3rd, and can be read about in this post. 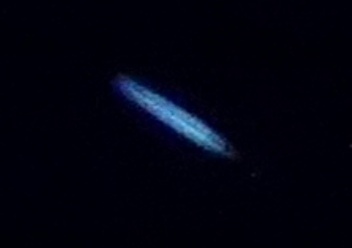 On November 9th, these lights defined the rim of a disc-shaped ship. 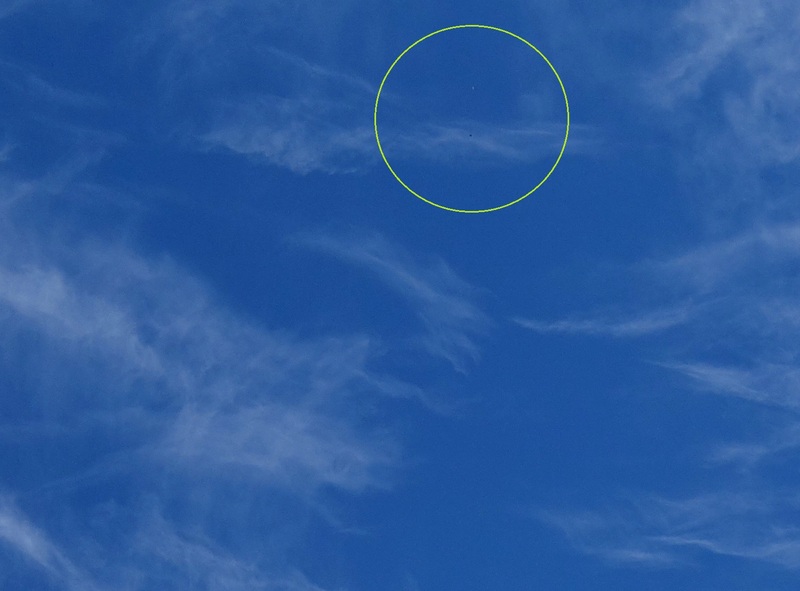 The outlines of several disc-shaped ship were visible in clouds and smoke overhead on November 12th, which can be read about in this post. The clearest of them can be seen in the enlargement below. On the night of Full Moon on November 14th, three ships formed a straight line, at angle just above the Moon. They moved up into the cloud-bank upper left of the Moon, and appeared in a triangle formation, with ship at the lower point flashing brightly – in the photo it looks like a crescent (a visual message about lightships traversing the higher dimensional lunar portal). 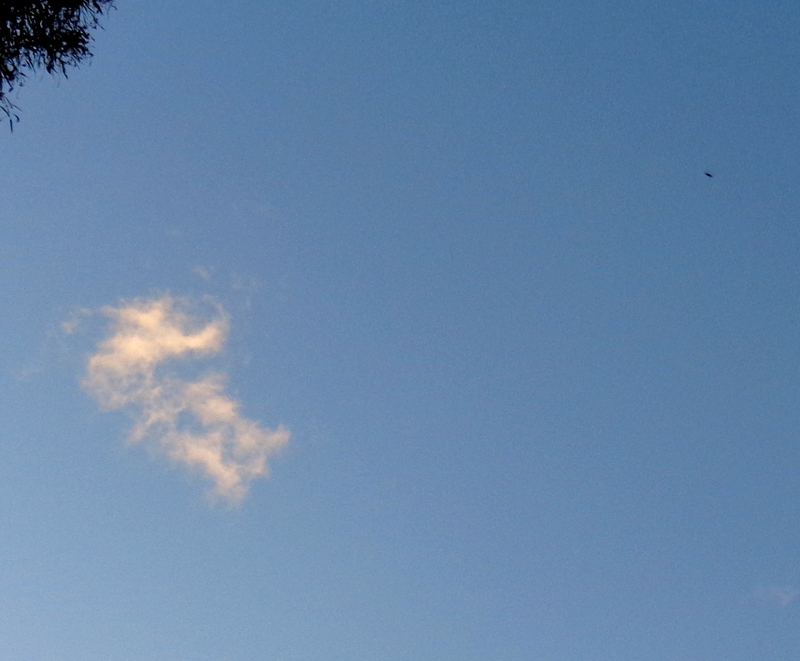 A cylindrical ship (the Pleiadian cylinder ship shown earlier on this page) appeared on November 17th, firstly low down above the treetops, moving very fast, hence the ‘after-image effect’, then higher up, with a smaller ‘pod’ ship above it.  The same cylindrical ship posted earlier on this page (the Pleiadian ship Rut’ish) can be seen as a long white shape high overhead beneath clouds in this photo from November 19. 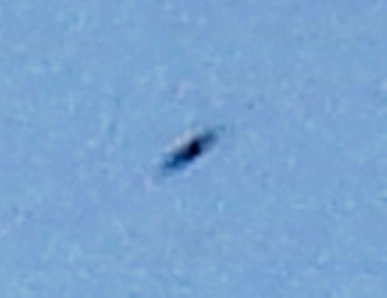 This ship appeared two days later on November 21, also just beneath clouds – a triangular ship of Sirian origin (see close-up below). 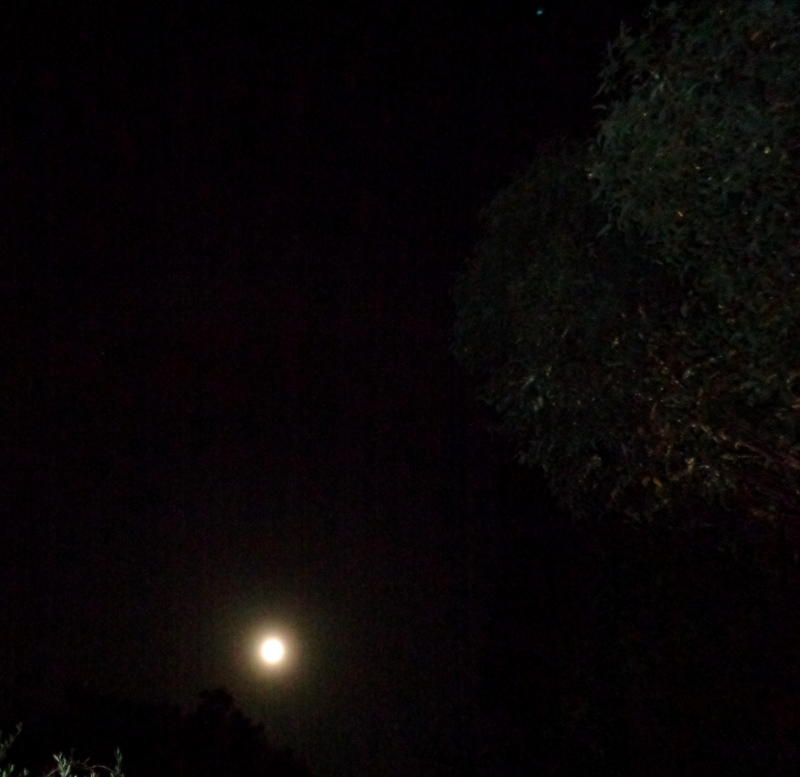 A friend who was with me in the garden at the time saw it pulse light visibly about 30 seconds before I took this photo. Ashura had his pod ship positioned above the ley line node in the garden on November 25th, while I made a new sacred geometry pattern on it, which you can read of in this post. Finally for this year, another beautiful daytime sighting, this time from a nearby walking trail, an Excalibur class ship from Orion, see this post for details. *Please read Tips for Ship-watching & Star Family Contact for advice and suggestions for connecting with higher dimensional ETs of love & goodwill.